The Weber State University volleyball team played in its final tournament before the start of the conference season over the weekend. The Wildcats won their first two matches of the Tanti Tourism Lion Classic tournament held in Louisiana on Friday, defeating Southern University and Southern Louisiana University on the first day of the tournament. On the second day, WSU racked up two more wins — against Louisiana Tech University and the University of Texas Pan American. Head Coach Tom Peterson said he’s happy with the way the team is coming together this season. WSU was led by redshirt freshman Rebecca Fuchs on Friday. She had 31 kills and 18 digs for the day. In the opening match, Fuchs finished with 13 kills, six digs and three aces. She followed up that performance with a career-high 18 kills and a career-high 12 digs in the Wildcats’ second match of the day. In the first match of the day, WSU knocked off SU in straight sets, winning 25-15, 25-11 and 25-15. The Wildcats never trailed in the opening match, and jumped out to large leads early in each set. The match took just more than an hour to complete. In the second game of the day, WSU lost the first set against SLU. The Wildcats played well in the first set, hitting .355 and getting 13 kills. After dropping the first set, WSU quickly bounced back and won the second set. The second and third set were close, each coming down to the wire. WSU took the second set 25-23. In the third set, WSU trailed 24-22, but took the lead 25-24 on a kill by Dama Cox. The Wildcats were able to hang out to claim the third set. In the final set of the match, WSU went on a late run to get the win, scoring four of the last five points of the match. It was the first time since 2010 that WSU has secured back-to-back wins, and improved the team to 4-5 overall on the year. On Saturday, the Wildcats racked up two more wins, defeating LTU in straight sets and UTPA 3-1. In the match against UTPA, the first set was hard-contested and back-and-forth throughout the set. UTPA jumped out to an early lead, but the Wildcats fought back to tie the set at 13, thanks to a kill by Fuchs. Neither team was able to pull away. WSU won the set after three set points against the Broncos. The Wildcats started the second set well, with two aces from Piper Wahlin, helping the team jump to a 6-1 lead. WSU closed the set out 25-18. UTPA took the third set and challenged the Wildcats in the fourth set. 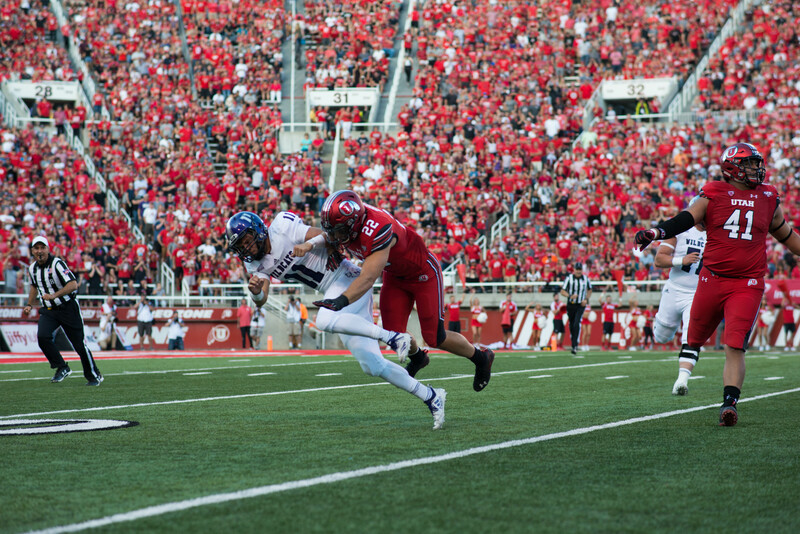 UTPA was within one point, but then WSU pulled away, taking a 15-10 lead. The Broncos made a late surge, but WSU was able to hold on for a 25-20 victory to close out the match. WSU’s Audrey Biggs said, after the work the team put in during the preseason, it’s good to see results going the Wildcats’ way. 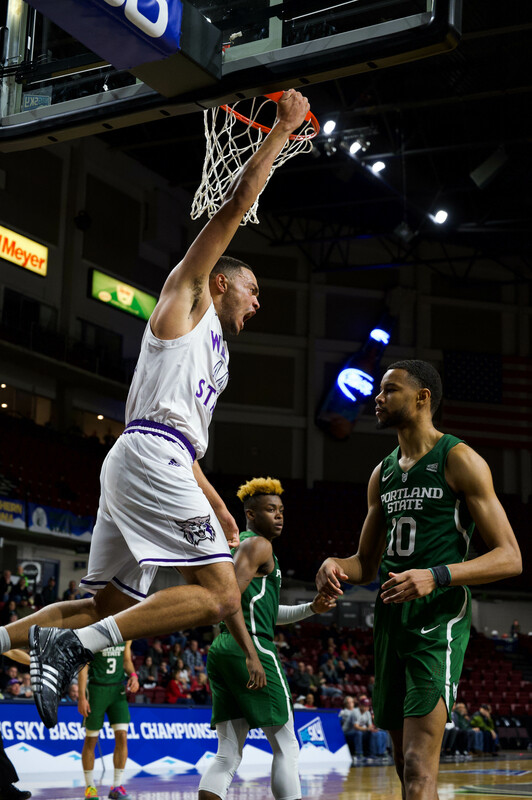 Now the Wildcats will return to Ogden, where they’ll open up Big Sky Conference play on Friday against Southern Utah University.